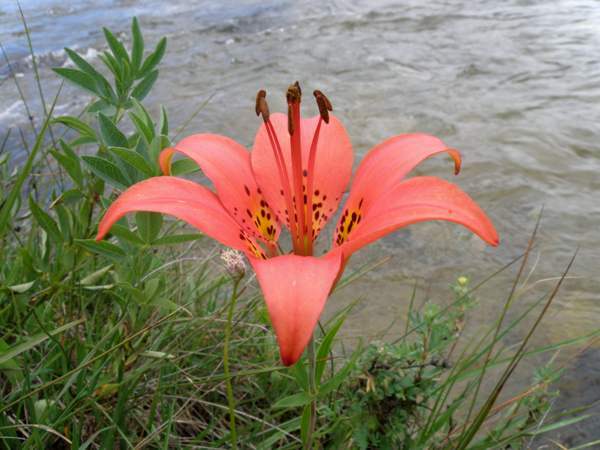 This lily has many names throughout the USA including Red Lily, Rocky Mountain Lily and others. It is now rare due to grazing and picking. If you are lucky enough to find this lovely flower please do not pick it - take a photograpah and leave it for others to enjoy year after year. Growing up to a couple of feet tall, this flower is a stunning sight when you find it in wet meadows of the Rockies. It is particularly fond of stream banks, which is where we mainly found it in Rocky Mountain National Park. 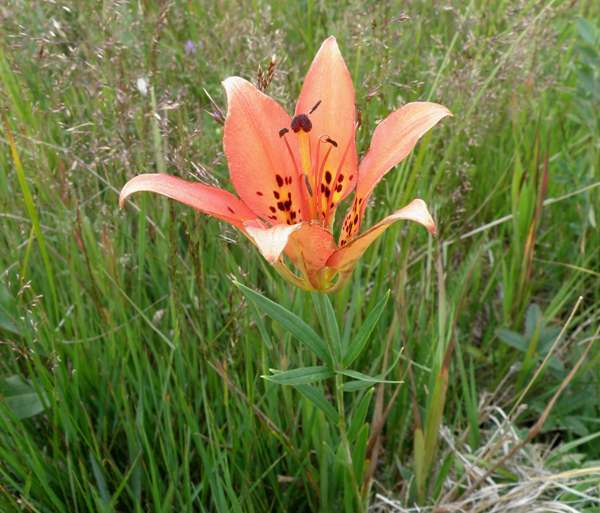 Wood Lily also occurs in Yellowstone National Park and many places in between these two l,ocations. Wood Lily blooms in late summer - usually from early July onwards. The specimens shown on this page were photographed in Rocky Mountain National Park in late August.